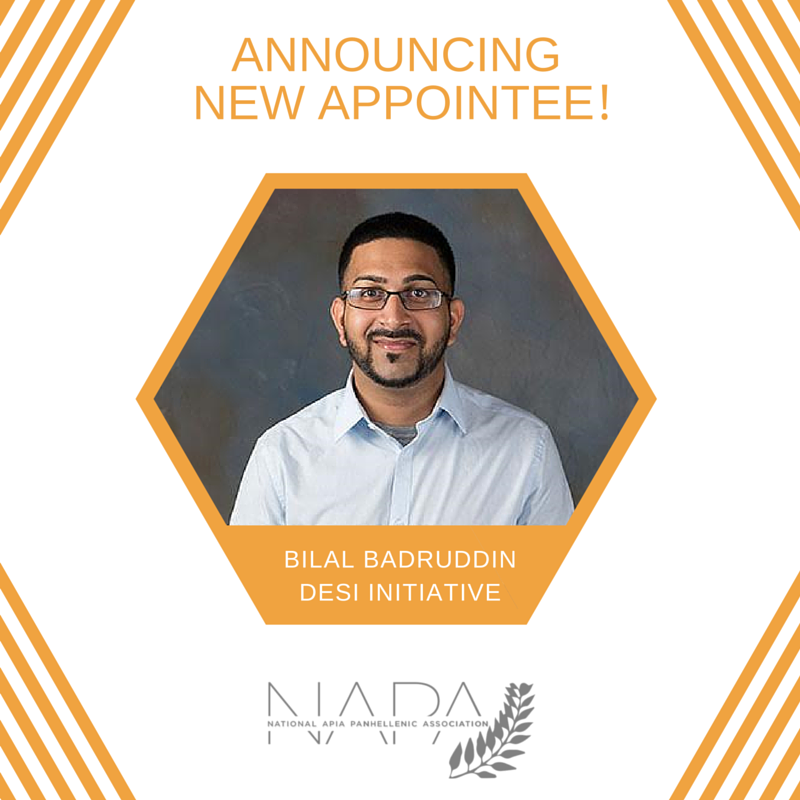 NAPA is proud to appoint Bilal Badruddin as its new lead for Desi Initiatives! Bilal is a member of Delta Epsilon Psi Fraternity and looks forward to elevating the voice of NAPA’s South Asian member organizations. Bilal Badruddin is the Assistant Director of Residential Life and in June will be transitioning to be the Interim Associate Director of Fraternity & Sorority Affairs at Colgate University. He received his M.Ed in Higher Education Administration from Loyola University-Chicago and his B.A. in Advertising Research from Temple University. While earning his masters, Bilal worked at Northeastern Illinois University as a Graduate Assistant in Greek Life. Prior to his current position, Bilal was a Residential Life Coordinator and later an Area Coordinator at Eastern Washington University, where he also had a collateral assignment in Fraternity and Sorority Life. In addition to his work on college campuses, Bilal Badruddin has served as the National Director of External Affairs for Delta Epsilon Psi Fraternity, Inc since 2013. #OutandGreek Campaign Relaunching this Fall! 1 More Week to Register for VineUp! Designed by Bryan Dosono & Brian Gee.